Our performance programs give you ample room to challenge yourself and experience playing different styles of music in a variety of settings and groups. Whether you’re looking to add your voice to a brass choir, play first oboe in the Conservatory Orchestra, or try your hand at Baroque music, there’s a place for you. By honing your ability to play with others, you’ll strengthen and clarify your own voice. You’ll also gain the performance experience you need to launch your career. 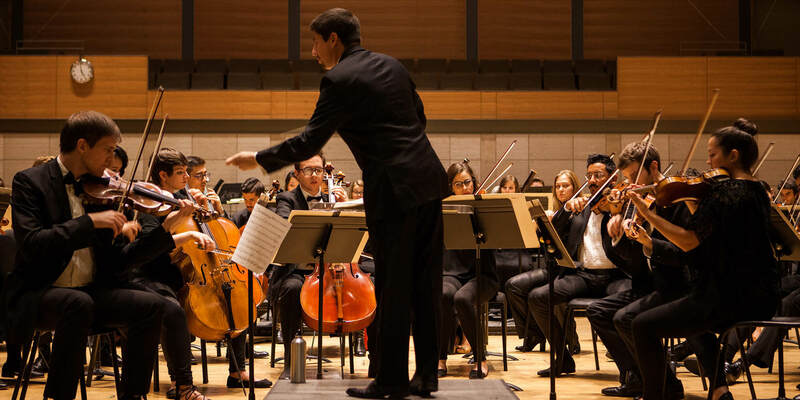 SFCM presents over 500 performances a year, including solo recitals by students, faculty, and guest artists, small ensemble concerts, fully staged operas, and symphonic programs. And you’ll be heard: More than 26,000 people attend Conservatory performances each year. How does it all fit into the curriculum?